It was a Bank Owned REO property that you won't find anywhere else for this price and uniqueness! This is your buyers' rare opportunity to own the CROWN JEWEL property of the entire Hidden Valley/Maricopa area. Rarely does a retreat with these extreme views, exclusivity & privacy come available anywhere in the Metro Phoenix area at this price. Gated at street level, a private, paved road winds up the mountain to the superbly-constructed 5,346 sq ft estate. Centered high atop Peed Mountain on 154 acres, this home offers all of the security, nature, & views expected in such a unique offering. Development potential to create additional estate lots, even state-protected petroglyphs on the property! Outstanding value & rare chance to own such a property only 35 minutes from Phoenix. REO PROPERTY - buyer to verify all facts, figures, measurements, etc. Garage Description 8 cars and more for all of your toys. 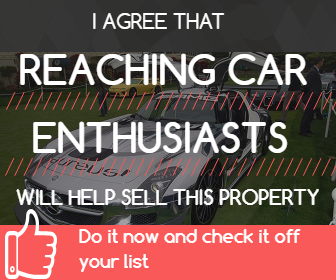 Build a great car collection right here with plenty of room to add more garages as needed. Address 13040 N Hidden Valley Rd. Cell Phone Sold .. I can do the same thing for you!